Is Your Cover Letter working for or against you? COVER LETTERS – those innocent but dreaded letters or emails introducing your resume (a.k.a. your career history masterpiece which you have painstakingly written and re-written until it is a piece of art). Is your cover letter killing your job search? With much enthusiasm I am expressing my interest in the TITLE position at your company. My interest in PROFESSION or INDUSTRY has taken me from EXPERIENCE to EXPERIENCE and I believe that my passion for PROFESSION or INDUSTRY, strong commitment to SPECIFIC ASPECT OF THE JOB and interest in MORE DETAILS make me the ideal candidate to join you at COMPANY. TRANSFERABLE SKILL #1: In my position at PREVIOUS JOB, I VERB/ACCOMPLISHMENT. I also demonstrated my SKILL abilities as a ROLE in PROJECT, ASSIGNMENT or RESPONSIBILITY by WHAT YOU DID. TRANSFERABLE SKILL #2: I have always displayed my approach to JOB RESPONSIBILITY by ACTION. At my previous company, I frequently VERB/ACTION. Additionally, I had the opportunity to VERB/ACTION or ACCOMPLISHMENT, further demonstrating my dedication to SPECIFIC ASPECT OF THE JOB. TRANSFERABLE SKILL #3: Everything I have done so far in my career has been driven by my enthusiasm and interest in SPECIFIC ASPECT OF THE JOB. It is this passion that has driven every one my career progression to date. I look forward to contributing my abilities and experiences to the TITLE position at your company and I hope to have the opportunity to speak with you further. Hear me out as I offer a critique based on my experience of reading hundreds of cover letters and resumes over 25 years in the recruiting/HR offices of Fortune 500 companies. The letter does not begin “To whom it may concern”. Even if all your research of the company or job posting did not reveal the name to whom you submit your resume, at least address it to “Recruiter or Hiring Manager”. Transferrable skills are showcased. Now let’s hope you identified them accurately. It’s somewhat brief. Ok, I’m stretching to give positive feedback but, seriously; some cover letters are longer than the resume. You have 6 – 17 seconds for the recruiter to read and decide if s/he wants to continue to read the letter and resume. The introductory paragraph lacks value and, as a hiring manager, I’d like to be the one deciding if you are my ideal candidate. My suggestion: Please review the attached resume of my qualifications for the recently posted/advertised position of xxxxxxxxxxx. Companies hire for results. The recruiter is looking for results, based on your transferrable skills. These generally come in the form of dollars made or saved, processes improved, survey results increased, new accounts, etc. By simply adding these types of metrics, you demonstrate your business acumen and value to a company. Words like passion, dedication, commitment and drive are great once you establish rapport and can be used to explain why you pursue what you do and how you achieve your results. Using them profusely in the introductory letter really serves no purpose. Again, think RESULTS and how to demonstrate all the good things you have done, in past and current positions, which you can repeat for the next employer. 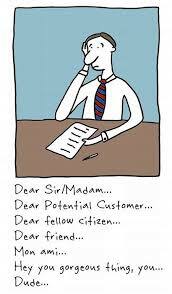 Close your cover letter concisely, positively and directly with a simple sentence such as: “I look forward to discussing this job opportunity with you in the near future and will follow up within the next week.” Your confidence shows through in the close without it being arrogant. Also, committing to contact the company representative demonstrates your confidence and drive. Honor your word; mark your calendar and reach out within a few days. Want to learn more about writing a cover letter that gets you results? Resume that gets you the interview? Interview skills that you gets you the offer? I know what it takes to get hired and move up the ladder. Contact Patricia @ CareerWisdomCoach.com for more information.